“It’s half past twelve, go to bed, you look tired,” P. told me as I rubbed my eyes, trying to hide a large yawn that stretched my whole face, making me look like a walrus. “Yes you are right. But only if you come,” I replied. We turned off the lights in haste, hurrying up the stairs into the freezing bedroom. Gosh, it was cold that night. I tossed my clothes quickly on the floor as I wanted to get in the bathroom first. I knew that we both wanted to fall asleep quickly and sensed it was not going to happen easily and naturally. “Ah, t’as les pieds gelés,” (You have freezing feet) P. told me as I rubbed my long skinny feet against his, trying to steal as much heat from him as I could. We switched off the bed lights and waited, but I kept turning from one side to the other. The truth was that I had a lot on my mind. I had had bread pudding on my mind for quite a while. Ever since I met P. for the first time. Because he is a bread-pudding-kind-of guy, or is it his entire family, starting by with his adorable and missed grand-father? I cannot recall how many times he has already begged me to make bread pudding. “Allez, s’il te plait !” (Come on, please!) Many. So naturally, I wanted to understand it. To please him. I had never made one. I was sure that it was not that difficult but because it was foreign to me, I was overwhelmed by the too many resources I found. What type of bread should I use? How many eggs? Shall I add cream to milk? What oven temperature and how long shall it bake for? When my friend T. called from Melbourne, I asked her “Do you have a good recipe for bread pudding?” I felt that she should know because her dad is English, and like every English speaker, she must have been raised eating bread pudding all the time. I am often told that I should know how to tie a scarf because I am French, so why can’t I believe that every single person with some sort of English background has to know the hows about bread pudding. Logique, non ? But T. did not have a recipe. In fact, she added “my grand-father used to make bread pudding at home, but I never bothered to ask him how he made it. I’ve actually never made one myself.” There ended my hope to have a recipe from her. knowing How to Use Stale Bread. Because nothing should be wasted. to be Martine. 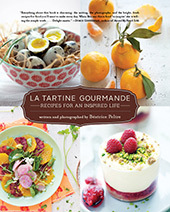 Martine fait la cuisine (Martine Cooks) was one of my favorites. In it, I learned how to make crêpes, confiture (jam) and bake pain perdu. on a random weekend, about a month ago. P. came back from work late on that Friday. I had decided to surprise him with bread pudding. “Wow, this is good!” he exclaimed, closing his eyes after taking the first bite, eagerly continuing to the second. “You should make some for my mum tomorrow when she comes. She will love it.” Really? Was I going to be challenged to pass the test on the entire Irish family? By 2 p.m. on the following day , P. left for the airport to pick his mum up. I had about sixty minutes before they returned to bake a few individual bread puddings. When I heard our car pulling onto the driveway one hour later, the kitchen was still full of the fragrance of my freshly baked puddings. Her eyes lit up. “I love bread pudding!” She sat at the kitchen counter while I placed a plate in front of her, anxious to know whether she was actually going to really like it. “Remember that dinner is at 7 p.m. at Y.’s place,“I added hesitantly. “Make sure that you do not spoil your appetite too much.” But she had already started to eat before I was finished. I thought about the raclette we were going to have at our friends’ only a few hours later, and hesitated before adding, more out of politeness, “Do you want another one? I made a few.” I was convinced that she was going to decline the offer. I should have known better. I was finally starting to understand better P.’s attachment to bread pudding. And mine too, as it turned out. And so, you have now seen why I needed some stale brioche. Using a good brioche obviously is key for a better taste result. Note on the Comments Section: If for some reason you do not see your comment displayed, it may well be because it was caught by my Spam Filtering System. Drop me a line if this is the case — I receive so many Spam messages that I do no longer have the time to go through all of them. Merci ! Cut the brioches slices in long sticks and divide them between the molds lined with parchment paper (1 slice per mold, I used popover molds but you can use tall muffin molds). Add a few berries, fresh or frozen. Melt the butter and pour 1 Tbsp per mold. Whip all other ingredients together in a bowl — eggs, sugar, milk, vanilla and cream — and divide between the four molds. Let the puddings rest for 20 to 30 min. Preheat your oven at 330 F.
Place in the oven to cook for 25 to 30 min. Remove and serve preferably lukewarm (but cooled is also good) . Coupez les tranches de briochen en bâtonnets et placez-les dans des moules hauts recouverts de papier sulfurisé (1 tranche par moule, j’ai utilisé des moules à popover). Ajoutez quelques fruits rouges, frais ou congelés. Ajoutez 1 càs de beurre fondu sur chaque pudding. Mélangez bien tous les autres ingrédients — oeufs, sucre, lait, vanille et crème — et divisez entre les quatre moules. Laissez reposer pendant environ 20 à 30 min. Préchauffez votre four à 170 C.
Mettez les puddings au four pendant environ 25 à 30 min. Retirez et servez de préférence tiède (mais refroidi, c’est aussi bon). Martine book collection was one of my favorite too. Martine petite maman (I did wish for a brother that year), Martine en avion and so on. I read them all. Thanks for the nice memories. What material did you use for the presentation? Is it a ribbon, a paper or something else that you wrapped around? It looks very yummy. I’ve never made or even tasted bread pudding and I live in a country colonised by the English. The thing that really caught my attention though, was your mention of raclette, it’s so good. Une belle recette comme j’aime, fruits rouges, brioche, lait, tout ce qu’il faut pour un petit déjeuner gourmand. Une présentation sublime! Tu me fais remonter à mes souvenirs d’enfance avec le livre de Martine! I had to laugh because I can totally relate to the cold feet thing – and so my husband could probably totally relate to P! This bread pudding looks absolutely divine! et moi pareil pour les pieds froid, mais aussi pr le fait de penser a la bouffe, ces jours ci c’est a la tarte au citron que je pense mm en dormant! Oups! your berry brioche puddings seems so delicious! bien jolies ces photos! je gouterais bien à ton pudding! Des souvenirs retrouvés pour un pain perdu, tu es très forte Béa. Et toujours aussi talentueuse aussi. this bread pudding is gorgeous! happy easter! They look so pretty Béa, yum yum! Super Bea. A nice idea to make individual puddings. I often use stale croissants for mine. THe best bread pudding I’ve had was at a little B&B in Sonoma. those berry bread puddings look sooo sweet and yummy. The bread pudding looks absolutely scrumptious! Now I know what to do if I have any leftover brioche after I make some this week. i generally agree that bread pudding made from homemade bread will taste superior to anything else!! yours look very appetizing indeed, one serving wouldn’t suffice. Great shots! Tres bien! Keep up the good work! And to Jelena: Raclette is also my favourite and it’s weird to read it as a casual “yeah, raclette tonight…” comment. Did you read this great Aussie book on raclette, the insiders guide? Also great pictures. Hope you’re having a great time with your sweet in-law, and I shall try your bread pudding with our leftover braided Easter brioche loaf. You must be tired of hearing this, but I will say it anyway: These photos look amazing. The story is very funny. I can totally relate to tossing and turning in bed thinking of something to bake or eat. Striking the right balance of custard to bread is my quest! My favorite is chocolate bread pudding. You’ve reminded me that I have an great recipe that needs to be re-tested! BTW, never thought of using my 12-cup popover pan. Fantastic idea! Individual bread puddings – voilà une idée géniale. Belles photos qui donnent envie de les manger tout de suite en plus. Je ne suis pas du tout surprise que la belle mère en a mangé deux. Oh bea …only you can make bread pudding so elegant. Beautiful! Where do you get the lovely paper wrapped around the puddings? What more can be said than simply gorgeous. Those look perfect in every way; I am still trying to convert my S to the wonders of bread pudding – these might just be the ticket. When I make bread pudding, i use whatever stale bread I have around the house. That’s made for some very … “interesting” flavor combinations. Cold feet, Martine, stale brioche…and turn it all into elegance! You are astonishing! The are really fabulous! I would have asked for seconds also! Beatiful as always, Bea. Bread pudding is one of my favorite desserts, but mine always looks a little bit more, umm, homey, shall we say. Simone, the book looks really cool and informative. Unfortunately I don’t own a raclette. I only tried it a couple of times when I was in France last year. I hope to eat some more of it when I go to Quebec this summer. Béa, I adore bread pudding, and your version looks wonderful. I actually just made some myself the other weekend (with a little secret ingredient). As a française, you might be intrigued to learn that another wonderful bread to use for bread pudding is stale croissant. I’ve never tried it myself, but I can imagine how rich bread pudding could be if an already rich custard were paired with the most buttery bread in France. I beg you to try it sometime…. Thank you very much all for your comments and additions. I keep note of the tips and advice you give! Oh yes stale croissants must be an excellent choice too! If any of you have a great recipe to share, I would love to hear it. Especially with chocolate 😉 Oui oui, avec du chocolat, pretty please! Thanks again. Your words always mean a lot! The puddings are in individual paper casings. Every time I make bioche it turns out too dense. I think it is because I don’t warm up the milk enough to activate the yeast but still I don’t make good brioche. Furthermore I was wondering what kind of paper you use to wrap around your bread pudding-not the partchment paper but the brown one? Briana, the brown paper is little paper casings (you can actually cook in them). 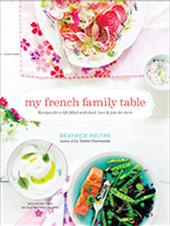 They were sent to me by a fellow blogger but I believe you can find them at Sur La Table. Check with them, and good luck with the brioche. It is true that the milk temp should be adequate, not too hot (otherwise it burns it) and not too cool either. You should be able to dip a finger in it and feel it is comfortably warm (this is what I do). I loved reading the story about the bread pudding, the cold feet, and the search for a recipe. The pictures are GORGEOUS. The recipe looks wonderful too. I’m hoping to try to make something similar soon, as I’ve, uhm, never made bread pudding before. Je ne doute pas du délice que cette brioche perdue (et retrouvée!) vous a procuré! On le voit et le sent presque sur tes photos ultra alléchantes comme d’habitude! C’est abssolument superbe et très tentant, je vais essayer de trouver ces papiers trop beaux pour le service …tu les as cuit avec ou tu en as ajouté des propres après car ils sont impeccables !! sais tu où en trouver en france, quoique je pense demander à mon grossiste, pour les petits déjueners brunch ça doit faire un malheur !! En mai?? je serai peut être aussi qq jours à Paris !! I tried e-mailing you, using the address given on this site. It came up as invalid…? I love the way you link your recipes to a great story,my favorites are the ones that feature that special bond between food,family and good times! Also the pictures are always amazing and your efforts to make everything the very best you can is inspiring and wonderful!!! I shall try this recipe (and its magic) someday soon. Pingback: La cuisine de Mercotte :: Macarons, Verrines, … et chocolat » 30 minutes chrono pour un dessert rose! I ABSOLUTELY LOVE YOUR PHOTOS. I CAN APPRECIATE THE DELICACY OF THE FOOD YOU DESCRIBE AND THE PHOTOGRAPHIC PRESENTATION. I WOULD LOVE TO KNOW WHAT CAMERA YOU USE AND HOW YOU ACHIEVE THE SHARP FRONT/SOFT BACKGROUND IMAGE EFFECT. IT WORKS SO BEAUTIFULLY. Avec un reste de baie de sureau, c’était délicieux.